The School of Education and Human Services offers programs leading to Bachelor of Science in Education, Bachelor of Social Work, Master of Arts in Education, Master of Arts in Educational Technology, Education Specialist, Doctor of Education in Educational Leadership. The School of Health Professions and Studies offers programs leading to Bachelor of Science degrees in Public Health, Health Care Administration, Health Sciences, Clinical Laboratory/Medical Technology, Radiation Therapy and Respiratory Therapy, Master of Public Health, Master of Science in Anesthesia, Doctor of Anesthesia Practice, Doctor of Physical Therapy, Doctor of Philosophy in Physical Therapy (PhD in PT), and Clinical Residencies in Physical Therapy with concentrations in Orthopedics, Pediatrics, and Neurology. The School of Management offers programs leading to Bachelor of Business Administration degree in General Business, Accounting, Finance, Operations Management, Organizational Behavior/Human Resources Management, or Marketing, Master of Science in Accounting, Master of Business Administration, and Master of Science in Leadership and Organizational Dynamics degrees. The School of Nursing offers four undergraduate academic pathways leading to the Bachelor of Science in Nursing (BSN) degree: Traditional BSN; Accelerated Second Degree BSN; Veterans to BSN; and RN to BSN. The SON offers the following graduate degrees: Masters of Science in Nursing (MSN); Doctor of Nursing Practice (DNP); Nursing Practice/Business Administration (DNP/MBA) dual degree; and a Post-Graduate Certificate in Nursing in either Psychiatric Mental Health or Adult-Gerontology Acute Care Nurse Practitioner specialization. In addition to these programs, the University of Michigan-Flint offers the Master of Liberal Studies in American Culture, the Master of Public Administration, the Master of Arts in Arts Administration through the Horace H. Rackham School of Graduate Studies of the University of Michigan, as well as graduate courses in other selected areas. In the late 1970s, the university began moving to the heart of downtown Flint, building a riverfront campus of modern buildings and amenities for its growing student population. In 2006, UM-Flint celebrated 50 Years of Excellence. The university finally became a residential campus in 2008 when 300 students moved into the First Street Residence Hall. The university continued to expand in 2015, when it bought the iconic former First Merit Bank building. The purchase stretched UM-Flint’s presence across Saginaw Street, the main street of downtown Flint. Later that same year, in one of the biggest donations the school has ever received, Uptown Reinvestment Corp. donated the 16-story, 340,000 square foot Riverfront Residence Hall and Banquet Center, which houses students and is also home to UM-Flint’s School of Management. The University of Michigan-Flint is accredited by the North Central Association of Colleges and Schools, 230 South LaSalle Street, Suite 7-500, Chicago, Illinois 60604. Accreditation has also been awarded to various University of Michigan-Flint programs by the American Chemical Society, Applied Science Accreditation Commission, the Association to Advance Collegiate Schools of Business-International, the Commission on Collegiate Nursing Education, the Commission on Accreditation in Physical Therapy Education, the Council of Education for Public Health, the Council on Accreditation for Nurse Anesthesia Educational Programs, the National Council for Accreditation of Teacher Education, the Council on Social Work Education, the Association of University Programs in Health Administration, the Joint Review Committee on Education in Radiologic Technology, the National Association of Schools of Music, the Accreditation Board for Engineering and Technology, and the National Association for the Education of Young Children. 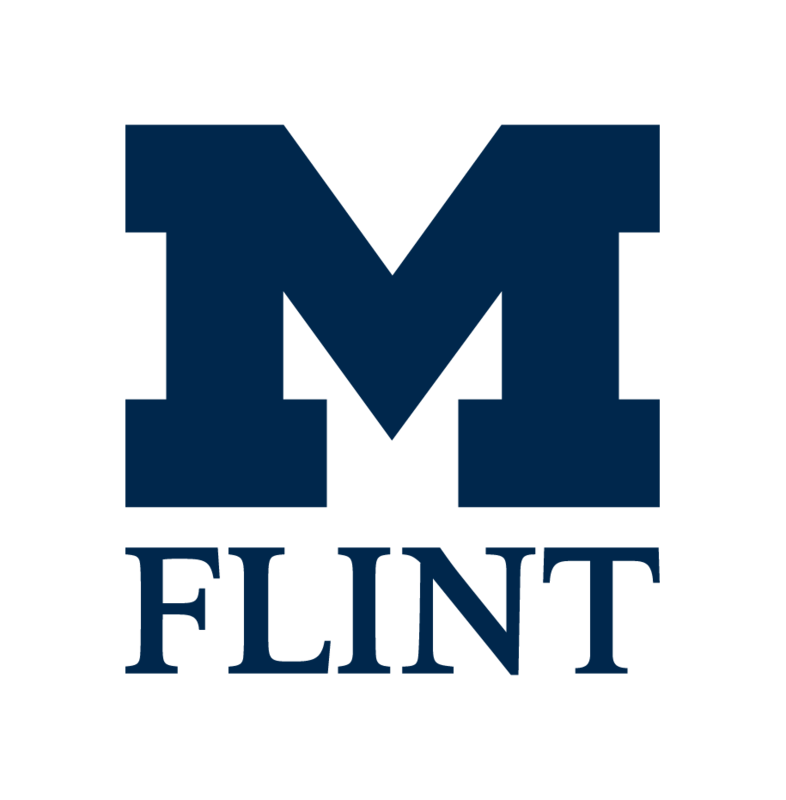 Grounded in the principles of student-centered learning, our Assessment Program provides evidence of the knowledge, skills, and perspectives that students achieve as a result of their education at the University of Michigan-Flint. In gathering and analyzing the evidence of our effectiveness, we are able to improve the institution through reflective, sound decision-making, enabling the University of Michigan-Flint to further its mission to prepare students as leaders in their fields, in their professions, and in their communities. The primary purpose of assessment is to help understand and improve the University of Michigan-Flint as a whole. Secondarily, assessment is used to support accreditation, research, grant funding, and other external purposes. Assessment of student learning and achievement is a campus wide endeavor that presents a variety of opportunities for students, faculty, staff, and alumni to provide valuable feedback to all units. The University encourages everyone to accept the responsibility and opportunity to participate in this important process. Additional information on assessment is available at http://assessment.umflint.edu.